After several years of rumors, Google is said to finally introduce a Pixel-branded smartwatch this fall. According to Evan Blass, the wearable will debut at the search giant's Pixel 3 event, where Google is also expected to introduce second generation Pixel Buds. 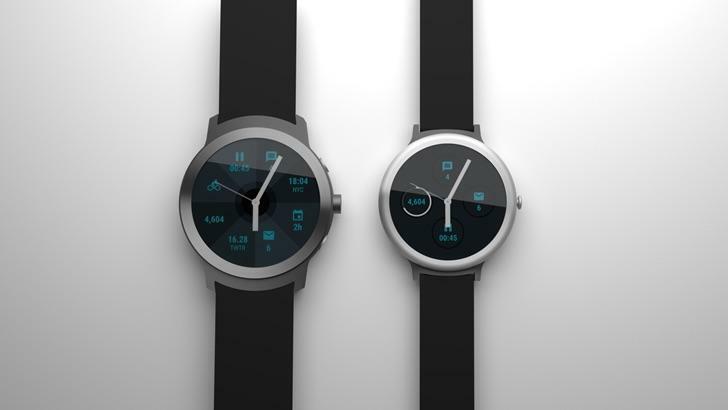 No details about the Pixel watch were shared, including what it will look like. But hearing of its existence is enough to get Google's rabid fanbase buzzing. The company has been rumored to introduce a smartwatch for years now, and our patience might finally be rewarded. The timing of the Pixel watch's arrival is important because of the state of Google's Wear OS. The software has floundered since its debut and trails far behind Apple's watchOS, which continues to receive meaningful upgrades. The arrival of Google's alleged Pixel watch will coincide with a new chip from Qualcomm. Apparently, the new chip will power an entire army of new wearables running Wear OS, so the Pixel watch won't be the only device to come out this fall. But Google's device is the most anticipated, simply because it'll be Pixel branded. Back in 2016, images of supposed smartwatches made by Google started making the rounds, with designs that closely resembled traditional watches. It's unclear if what was leaked back then is at all related to what's supposedly coming soon, but they probably give us a pretty good idea of what to expect. Google's last Pixel event was held in October, so it's likely the search giant will hold to a similar timeframe. That being said, I'm sure this won't be the last time we hear about the Pixel watch before its debut.